When I wrote that it's best to buy an iPhone in September, I didn't know of the antenna and proximity sensor malfunctions. Since then we've learned that iPhone 4 has problems with its proximity sensor; it fails to turn off the screen when it's held by a caller's face, so it's easy to accidentally disconnect. We've also learned of an antenna design issue. The reviewer has an engineering background (the description of the camera sensor technology is the best I've seen) and he hacked a way to measure the iPhone 4's antenna performance. Turns out that the iPhone "bars" display is almost meaningless -- anything less than 4-5 bars is a very marginal signal. Apple isn't the only company to cheat this way. More importantly, there is a real problem with Apple's antenna design. On average it's mostly better than the iPhone 3G/3GS antenna, but to get the best results you need a case, like Apple's $30 bumper covers, to keep fingers away from antenna junctions. The Anand team speculates that Apple goofed up on design or testing, or that they don't care. I doubt it. I am sure Apple engineers knew about this problem. Maybe it was always a known problem, or maybe there was supposed to be a coating applied that ended up being unavailable. Most likely a problem came up not far from the release date, otherwise I think Apple would have come up with a fix of some kind. Apple's management tried the phone, looked at the analyses, and decided to launch without a mitigation strategy. Maybe they'd been studying the Dell Way. Maybe they figured most people buy a case, most of the rest are in areas with non-marginal coverage, and AT&T customers are used to dropped calls. They might have gotten away with it, just as they got away with blown Nichicon capacitors in the G5 iMac or the loose video cable in my i5 iMac, but the problem turned out to be even worse than they'd expected. It went viral. 4. … ONLY escalate if the issue exists when the phone is not held AND you cannot resolve it. The pressure is building though, so I think Apple will do something to appease us. I think they'd be fine if they offered to sell the bumpers with an iPhone for $10 instead of $30, and give a $20 App Store voucher to current i4 owners. (They may not have enough bumpers to go around though.) Really the phone should ship with the bumpers, but they don't look so good in demos. By the time I buy in September, I expect Apple will have fixes for the antenna and proximity sensor bugs. Honestly, September is the time to buy. I moved all of my web hosting services and most of my domain registrations to Dreamhost* a year ago (a few are with Google Apps hosting partners). This was a reasonably complex process that you can read about on Gordon's tech (dreamhost tag - look at the start). I've been very pleased with them. I'm sure there must be cheaper ISPs and hosting services, but they have caused me no pain at all. ... Last August, after years of moderate dissatisfaction with my domain registration and site hosting arrangements, I signed up with Dreamhost. I've been quite satisfied with them as a hosting service and even happier with their registrar services; you can see this from posts over the past six months. I was disappointed with their weak implementation of webdav services, but that's been a minor problem. Of course you need some geek genes to work with them, but less so than most alternatives. If you want to keep things simple, DreamHost is a better Google Apps partner than Google -- especially now that Google is trying to hide the free stuff. Evidently some people used the "KATEVA" code. This link is supposed to do the same thing. I've configured my promo code to give 50% off the first year of use. This means I get $47 for a new customer instead of $97. I think by promo code standard this is a pretty competitive deal, but do look around for better deals. I'm a complainer at heart, so Dreamhost is doing pretty well to go unmentioned. 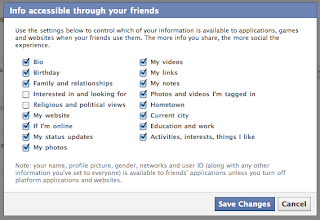 With due consideration, and for relatively good reasons, I gave my 13 yo a Facebook account. It's not something I'd recommend generally, but the circumstances are atypical. Of course we're "following him", but that's a weak monitoring measure. More importantly, he doesn't know his password and if he does a password reset he'll lose access.. That was a condition of giving him an account. I've also configured it so email notifications are copied to my personal email. We'll see how it goes. I'm cautiously optimistic. The access given to Facebook "apps" is particularly impressive. 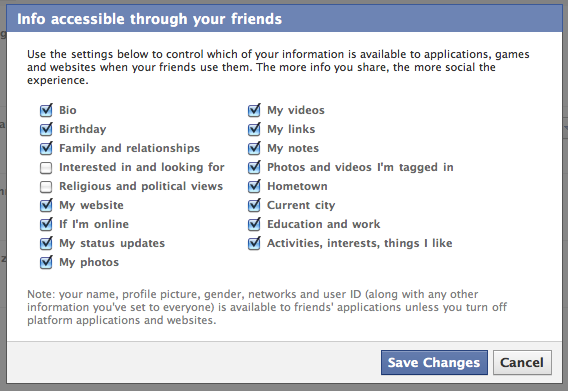 I don't see any evidence that FB has "reformed". I flipped everything to a the same very secure settings I use. As usual in the troubled world of "Parental Controls" I ran into a glitch. Some settings changes require an https connection, and OS X Parental Controls can't manage most https connections (an increasingly serious problem). So to change his settings I had to use an account with more privileges. One side-effect is he can't change his preferences, which is not entirely unwanted. OS X 10.6 (Snow Leopard) was released on August 28, 2009. Version 10.6.4 came out last in June of 2010; it’s now a good upgrade for a 10.5 machine. It took Apple about 10 months to beat the OS into decent shape, which is a bit of a problem if you’re considering a new desktop machine. Unless you enjoy computer hassles, you should buy new Macs a few months before, or six months after, a major OS X update. Both of these bugs would have been a waste of time and energy for us. It’s summer in Minnesota, I have better ways to spend my sunny days. These bugs will get sorted out through a combination of third party, iOS and iTunes updates over the next month or so. If you only have older phones, the smart move is to wait until August to upgrade. If you’re buying a new phone, however, you have to use the new OS . Which is why you should buy a new iPhone or iPad in September. Apple seems to have very consistent phone release cycles (though not all will be major updates), so if you get a new phone and a new 2 year contract in September you’ll be in phase with the release cycle. iOS device prices tend to be stable over their life cycle, so a purchase in September gets you the best life cycle value with the least upgrade troubles. In my own case my 3G is painfully slow  so I’ll probably buy in August, but I’ll aim for September for our next upgrade cycle. I’d like Apple to get the heck out of the apps business altogether due the very long bugfix and upgrade cycles of systems apps, but that’s another post. The complexity is increasing very quickly with the iPad and with iTunes OS X and Windows XP/Vista/7 dependencies. There are also some iPod dependencies due to a shared DRM infrastructure. For example, iTunes 9.2 sounds like bad news for older iPods. I’m waiting for 9.2.1. Since iOS4 may require iTunes 9.2 that’s another reason to delay iOS updating. Apps are being developed for modern devices, so upgrades expect more RAM and more CPU – especially the former. I also sync way too many calendars, contacts sources, etc for this device – I’m basically flogging it. July 17, 2010: Wow, I sure called it for 2010. This year it's probably a good idea to wait until November and see if Apple is going to come up with fixes for the proximity sensor and antenna design flaws, not to mention the worse than 3GS connectivity. I've streamed Netlfix to my iMac with acceptable results. Like all (yech) Flash based technologies it is buggy and inefficient on a Mac, but it works. I knew Netflix could also be streamed to X-Box and Roku, but I'd not realized you could stream to a Wii until I saw a notice when editing my queue. I ordered the Netflix wii disc and tried it out. It worked well while streaming over our 802.11g WAP encrypted WiFi LAN. Some of the interface graphics are blocky and ugly, but the movie itself was fine. The control UI uses the arrow keys on a Wii wand. The Flash stream results are at least as good as what I see on my vastly more powerful iMac, and there's no fan noise. Apparently Adobe just hates the Mac. You need a computer, iPhone, or iPad to validate your account and manage your queue. I assume Netflix would like to remove that requirement eventually. Activation took less than a minute. You can stream from one Netflix account on up to 6 unique devices (iMac, iPad, iPhone 4 soon, Wii, Roku, etc). From their site today, here's a list of the streaming Netflix supports. They're clearly well on the way to eliminating DVD mailing (main problem -- too easy to rip and distribute). We don't have cable at home, we get 3 DVDs a week for the kids to watch. This gives us some new options. I really don't miss cable at all (we do have free broadcast HD via a D/A converter box and some rabbit ear antennae -- works surprisingly well)). You can't unlock an AT&T iPhone, but after your contract contract is done you can give it to another person who has an AT&T account. If they insert a GSM card  they can use the phone. I've gotten contradictory reports from AT&T, but it appears that under current policy if that GSM card does not have a data plan then the iPhone can be used without a data plan. Of course that iPhone will then run up a large bill -- since it will inevitably do some network data transactions and they will be billed at very high rates. The current workaround is to pay $5/month for an AT&T plan that less you monitor a phone, limit data use, etc. I think you can use the Parental Controls to lock settings so the user will not be able to turn cellular data back on. So I can give my old 3G to my son and he can use it as a phone and for texting, but will only have data services when he's on a WiFi. I won't have to pay $180/year for minimal 3G data services. Over two years that pays for my new phone. iPhone 4 uses a micro-SIM that is not compatible with SIMS from older phones. This does work for a 3G or 3GS. It's hard to imagine now, but the BB Pearl of 2008 was a proto-gPhone. It ran Google Mobile and you could track it on Google Maps. I came to despise the phone and I was delighted to get rid of it, but I missed the free location tracking. Now I have an easy way to track a phone; unlike Latitude it's strictly on demand tracking - the phone isn't routinely updating its location. The new app with MobileMe services is a good way to find a lost phone, or to see how far your spouse is from airport pickup (though you need his/her MM password -- again, conservative on the privacy). However it only works if you enable it, and you need a MM account. A friend of mine came up with another approach that doesn't require a MM account -- or any advance planning. When he lost his iPhone bicycling to work he had AT&T add the family tracking feature to his account. You can add it at any time, and you don't need possession of the phone (it does have to be on however). This is less precise than MobileMe tracking since it relies on cell tower triangulation, but in urban areas that can work well. It worked very well for him -- he found his phone quickly. He then canceled the service; AT&T allows customers to add and remove services as needed. The AT&T locator service, of course, works with any phone. So there are two approaches, but if you're primarily concerned about finding a lost phone the on-demand AT&T tracking service is quite a bit cheaper than MobileMe -- and it doesn't require setup. If you have a MM account for other reasons (it's really a pretty crummy service to be honest) this is well worth enabling and testing. The 10.6.4 update breaks iMac external display function? An iMac 27 can serve as an external monitor. Connect a DisplayPort input and it should switch to that. I've routinely connected my work laptop to my iMac via the DisplayPort to use it as an external display. This morning this is no longer working. I updated to 10.6.4 last night. When I plug the DisplayPort cable into my laptop the iMac screen goes black as it should. I can then select dual monitors. For a moment it switches to the laptop setting. When I then click 'Apply' on the laptop to configure dual monitors it gracefully switches back to the Mac desktop (which is wrong). There may be other causes of course. I strongly suspect a 10.6.4 bug however. Updates to come if I learn more. It then switched the iMac into display mode. It also jumped to the correct resolution. Multi-monitor support on Windows has emergent properties, so I can't be sure this is a 10.6.4 bug. We'll have to see how many have trouble. Update 7/25/2010: The workaround doesn't always work. I've submitted a bug report. I've also noticed that if you unplug a remote display from an iMac, the main display switches to the resolution of the removed remote display. So there are several things broken. Laptop: set NVIDIA control panel to multiple monitor configuration screen. It will show only one monitor. NVIDIA control panel display will switch to dual monitor view. Configure as needed. Under some conditions you will have a very short period of time to configure the NVIDIA control panel before the iMac switches back to showing the OS X time period. My hunch is that this is the 10.6.4 bug -- a change made to the timing. In earlier releases the OS X desktop remained "black" (waiting for external input signal) for a much longer time, perhaps indefinitely. I suspect the 10.6.4 bug was introduced as a hasty hack for problems where the OS X desktop remained stuck in an inappropriate "black" mode, waiting for a signal that never came. Another tip. I have the habit of turning off my iMac's OS X secondary monitor before disconnecting it and plugging in the laptop that will put the iMac in monitor mode. I think this causes problem. The iMac still thinks it has an external display and it won't switch over to being in display mode itself. If I simply unplug the external LCD, without first turning it off, the iMac goes into single display mode. I think this may make a difference. I've been puzzled that my mother's iPad accessibility seemed undocumented. Turns out it's all in the PDF iPad User Guide (manual). Did you know there was a 150+ page manual for the iPad? It's an Apple secret. The manual is impressive, but it's a bit too complete. It describes some VoiceOver features that didn't make it into the shipping product (some rotor controls). Flick right or left: Select the next or previous item. Flick up or down: The effect varies depending on the Rotor Control setting. See “Using VoiceOver” on page 110. Two-finger tap: Stop speaking the current item. Two-finger flick up: Read all, from the top of the screen. Two-finger flick down: Read all, from the current position. Three-finger flick up or down: Scroll one page at a time. Three-finger flick right or left: Go to the next or previous page (such as the Home screen or Safari). Three-finger tap: Speak the scroll status (which page or rows are visible). Four-finger flick up or down: Go to the first or last element on a page. Four-finger flick right or left: Go to the next or previous section (for example, on a webpage). Activate item. Double-tap and hold (1 second) + standard gesture: Use a standard gesture. The double-tap and hold gesture tells iPad to interpret the subsequent gesture as standard. For example, you can double-tap and hold, and then without lifting your finger, drag your finger to slide a switch. You can use standard gestures when VoiceOver is turned on, by double-tapping and holding your finger on the screen. A series of tones indicates that normal gestures are in force. They remain in effect until you lift your finger, then VoiceOver gestures resume. Two-finger double tap: Play or pause in iPod, YouTube, Voice Memos, or Photos. Start or pause recording in Voice Memos. Start or stop the stopwatch. Three-finger double tap: Mute or unmute VoiceOver. There's also far more to the zoom feature than I'd realized. This User Guide deserves a bit of publicity. I've used this mouse with my iMac for about seven months. During that time I've scared my kids more than once with a scream of frustration. This is one of those things that looks beautiful, feels lovely, shows well, but has the heart of Satan. Inevitably, a slight errant motion careens windows about, loses location, or zaps the wrong set of photos. I beg you, don't buy this mouse. Apple doesn't need the encouragement and they sure don't need the money (believe me, I give them enough). Yes, I understand the seductive appeal. It's lovely when it works. It does fine with some apps. It's disastrous with other apps, esp. Google apps. Apple has never made a good mouse. This is no exception. I think this explains why Jobs went to iOS (iPad, iPhone) -- he finally realized he's violently allergic to mice. Buy a Microsoft mouse. They don't do very many things well, but they make great mice. Even Andrew gave up on his Magic Mouse -- and he bleeds Apple. I've gone back to using an ancient Microsoft RF mouse with scrollwheel. Maybe I'll buy a Bluetooth mouse, but for now this one works fine. I think this may be the most obscure blog post I’ve ever written. I only write it because, even after I knew the answer, I couldn’t find this documented anywhere. Perhaps this will help someone searching for an answer someday. I’ve tested this in Access 2003, but not Access 2007 (a disastrous upgrade btw). If you’re actually reading this, you are using Microsoft Access and you have been using the "Switch” “Program Flow Built-In Function”. This is a unique to Access hack that allows one to mix a bit of programming logic into a query. In the pile of hacks that make up Microsoft Access this one’s a bit of a gem. You can mangle quite a bit of data with it. I believe it is a call out to Access Basic. You used the Switch statement with a numeric data type. When you were done you attempted to do something with the result, such as a Join on another numeric. You then saw a “Type mismatch in expression.” error message. It’s not documented in Access, but the Switch statement forces the result to be a string. If you don’t want to change data types to a string you should use nested IIF statements in place of the Switch statement. You can also wrap the Switch statement in another function that casts the string to a numeric value. Access has 3 Program Flow built-in functions: Choose, IIf and Switch. I use IIf and Switch. These are taken from Access Basic. They can be used in Access Basic functions, or they can be used as functions in a column name (where I use them). Switch has the advantage that it can handle multiple conditions cleanly, and include an error statement. It is poorly documented (see below) . It can be difficult to construct a complex Switch in the Access editor or function wizard, it's better to construct it in a text editor and paste it in. Switch can use the True and False operators. So if you want to have an error result used when all matches fail, you set "expr-n" to the operator "True" (no quotes). You might think you should put the most common condition first to reduce execution time, but Switch always evaluates all the expressions. expr Required. Variant expression you want to evaluate. value Required. Value or expression to be returned if the corresponding expression is True. The Switch function argument list consists of pairs of expressions and values. The expressions are evaluated from left to right, and the value associated with the first expression to evaluate to True is returned. If the parts aren't properly paired, a run-time error occurs. For example, if expr-1 is True, Switch returns value-1. If expr-1 is False, but expr-2 is True, Switch returns value-2, and so on. None of the expressions is True. The first True expression has a corresponding value that is Null. Switch evaluates all of the expressions, even though it returns only one of them. For this reason, you should watch for undesirable side effects. For example, if the evaluation of any expression results in a division by zero error, an error occurs. I'm probably the only iPad owner who didn't know iBooks isn't pre-installed. It showed up when I visited the App Store from the iPad. In the meantime I tried Amazon Kindle for iPad. It didn't look bad at first, but then I tried VoiceOver. It didn't work at first - then it crashed hard. I had to reset the iPad. Since I bought the iPad for my visually impaired mother, this was not good. That's a shame, because I would have liked to have bought books for her on Amazon then put them into a shared Kindle account. Update: This is weird. Ever since the Kindle debacle, if I try to use VoiceOver the screen goes black. Turns out I'd activated the top secret "screen curtain" feature (limited documentation). A 3 finger triple tap turns it on and blanks the screen. I think this only happens if accessibility is turned on. If VoiceOver is off then three finger tap zooms the screen (not so useful actually, just enlarges pixels). For my mother the "Screen Curtain" will be a bug, not a feature! My 80 yo mother's macular degeneration is limiting her ability to read printed books. I took her to an Apple store this past weekend to see how she'd do with an iPad. It took us a while to figure out how to configure it. The default accessibility settings assume no vision, so each letter is spoken before it can be selected and entered. Accessibility mode also changes gesture behavior to a less natural mode with a steeper learning curve. From the accessibility menu, configure the screen "home button" to enable VoiceOver on 3 consecutive pushes. (Her arthritis and neuropathy made this a bit tricky, but counting "1, 2, 3" as she pressed did the trick. Once she had the rhythm she could do it reliably.) This lets us turn it on and off as needed, and stay with the standard gestures much of the time. Disable the keyboard Voice assist. In iBooks we set the book size to the largest available font. My mother was able to read the sample texts. She could also triple-tap enable VoiceOver, then double tap on the page to have VoiceOver (monotonously but clearly) read the page text. She had less success with the Safari and Mail.app, but we didn't spend enough time practicing them. Because of the limited zooming of Mail.app and the finger zoom in Safari I wonder if she’ll do better using Gmail. The iBook experiment was encouraging. She's a sucker for Apple look and feel so she was quite fond of the iPad. I'm not sure it makes sense to buy her one. For one thing I'm not sure how I can get content on her iPad from my home. If Apple does a bit more work, next year's iPad would be a much better option (though in her age and health, a year is a very long time). If I do go ahead I'll configure it at my home then transfer the paired iTunes Library to her Mac Mini. Darn. I forgot my AMEX card with its 1 year warrantee extension. There are no ear buds in the box. The charger cable is hard to insert initially. I expect it will be easier with practice. I’ll modify the standard connector (tape, etc) so it’s easier for her to grip and insert. Update 6/14/10: The Kindle is a dismal failure. Update 6/17/10: Accessibility gestures are documented in the secret User Guide. After an epic struggle, I've given up on Apple's parental controls. They never worked very well, but Google's change to https seems to have broken them completely. I can't enable Google Calendar or Gmail access without also enabling image search. I'm not even sure I can allow allow Google access while blocking YouTube (the rules seem to be changing quickly). I'm currently evaluating Net Nanny and Safe Eyes, but really I don't want either of them. I need a net appliance I can configure for our entire network. Those devices, however, costs thousands. Or I need to give up on Google. I'm seriously considering the latter. If MobileMe were to offer Google-class calendaring I could use Bing for family search. I think OS X Parental Controls may still work with Microsoft's offerings. OS X Parental Controls: whitelist only, with the https://74.125.45.100 trick and our Google Apps family domain. Google's lock safe search set to the most severe filtering. It's not obvious, but I think you can log in with a parent's personal iGoogle account, lock safe search, then log out. You must, however, enable always receive cookies which is probably a serious security risk. Clearing cookies will clear this, but Parental Controls makes that harder to do. Update 6/17/11: A comment suggests iBoss Home, a combination of wireless router and a subscription service.